Des Monaghan has had a long and distinguished career as a network executive, producer and production company owner, from early current affairs shows Compass and Gallery, through to Australian dramas Underbelly and Cloud Street. In 2013 a Sydney Morning Herald-assembled panel rated Monaghan and his fellow Screentime founder Bob Campbell among the 50 most influential figures in Australian TV. The article called them "one of television's most respected and enduring partnerships". Des Monaghan was brought up by his Irish parents, in the city of Cork. After leaving school he training as a stage manager at the Bristol Old Vic, and later got a taste of television while working on high profle TV show Sunday Night at the London Palladium. A friend was now working at the NZ Broadcasting Corporation, and Monaghan came out too. The day he arrived downunder he got offered a job presenting a pop music show featuring American Gene Pitney. Sanity prevailed, and instead Monaghan set about getting a trainee job in Auckland. Though surprised to be told he had actually got a job in Christchurch instead, Monaghan counts himself fortunate to have begun with an "excellent" inhouse training course which saw him learning the ropes in various departments. He still laughs about working alongside a deaf sound recordist and a cameraperson who was blind in one eye. Producing the Christchurch version of magazine show Town and Around proved an early trail by fire. Monaghan recalls arriving in an empty office after first joining the show, and discovering only a single two-minute item was ready for the next night's episode. Town and Around saw him working for the first time with partner in crime Brian Edwards. Monaghan took the reporter with him after he began working on current affairs show Compass; budget problems saw the two playing an inordinate amount of pool before the series was given the go ahead to start transmitting again. In 1969 Monaghan persuaded his bosses "that we needed something much more topical, with much more edge". The result was current affairs show Gallery, which began in 1969. "Luckily we were young enough and green enough not to fully understand the extraordinary power we had," says Monaghan, "because we were the only current affairs show on the only televison network in a country that didn't have a national press. So we could literally change Government policy overnight". That power became more apparent when the two worked on a legendary episode where Brian Edwards solved a Post Office industrial dispute live on air (Monaghan talks about it in this video interview.) He argues that the high hit rate of shows like Gallery was an inditement of the lazy, parochial state of local print media at the time. In the 70s Monaghan produced the ambitious Frost Over New Zealand (led by Brit David Frost), then, asked what he wanted to do next, took on the command of state television's sports coverage, which until that point had been run (lazily, he argues) by state radio. Among his innovations was launching magazine style sports show This Sporting Life, which raised a cavalcade of complaints after a Monaghan-penned introduction argued that many New Zealanders viewed rugby league as a "second class sport". 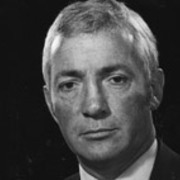 Monaghan went on to become Controller of Programming, responsible for co-ordinating and scheduling the programmes of Televison One, and later both channels. Subsequently he became Director of Programmes and Production for Television New Zealand. Monaghan also has the distinction of being the only NZ television executive to sue the Prime Minister of the day for defamation. The story is worthy of its own book, but in summary Monaghan argues that Muldoon was a "bully boy" who attacked the media as a distraction. He sued Muldoon after the Prime Minister blamed Monaghan for the decision to screen British docudrama Death of a Princess, based on the execution of a Saudi princess. Muldoon argued the programme was factually incorrect, and would affect NZ's relations with Saudi Arabia; A judge set aside the original jury's decision that Muldoon had not defamed Monaghan. The Governor writer Keith Aberdein has argued that "suing Muldoon was almost the last brave act in the history of New Zealand television". In the late 1980s, Monaghan set up South Pacific Pictures — originally as a wholly owned subsidiary of TVNZ — before being head-hunted by Australia's Seven Network, to become the channel's Director of Production and Programme Development. In 1996 Monaghan joined forces with Bob Campbell (then Managing Director of Seven) to set up Screentime, an independent production company which now has operations in Australia, Aotearoa and Ireland. Screentime's first production was born at a TV market in France, when TV One programmer Mike Lattin asked for any ideas for a show leading into the primetime news. The result was long-running daily magazine show 5.30 with Jude, a show which had sponsorship without crossing into advertorial. Screentime went on to produce crime-solving series Police Ten 7. Screentime's output encompasses mini-series, tele-movies (including Temuera Morrison starrer Ihaka: Blunt Instrument), comedy, infotainment, and reality TV. The company had ongoing international success with Popstars (originally created by Jonathan Dowling's Essential Productions). Screentime developed the show further for the Australian market, then licenced the format to more than 70 countries. Monaghan argues that the hit Idol franchise was inspired by it. The Underbelly drama franchise became Australia's number one show and a worldwide success, including sales to the United States. Underbelly: Razor, the fourth series — and most expensive to that date — saw the crew recreating 20s-era Sydney, with Kiwi actors Danielle Cormack and Chelsie Preston-Crayford starring as warring crime-lords. Another two Underbelly series followed, one of them the Kiwi-set Land of the Long Green Cloud. Monaghan is also proud of award-winning mini-series Jessica, which starred New Zealanders Lisa Harrow and Sam Neill. Screentime's pay TV mini-series Cloudstreet, an adaptation of Tim Winton's beloved Australian novel about two working class families, debuted to acclaim in 2011. Monaghan was a Foundation Member of New Zealand's TVPDA (Television Producers and Directors Association), a forerunner of SPADA (the Screen Production and Development Association).